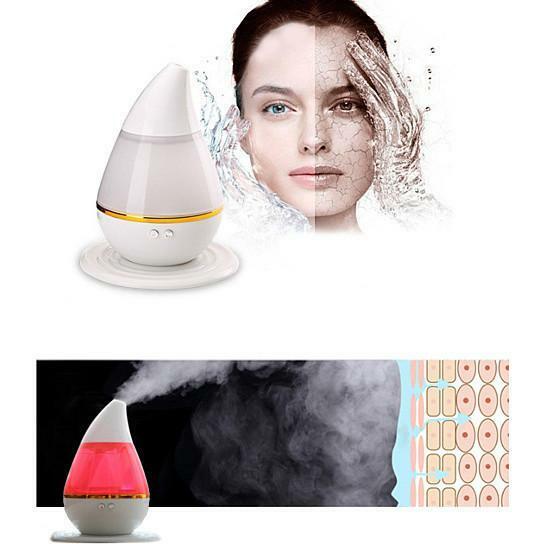 Cornucopia Aromatherapy and Humidifier for Fresh Feeling anytime. 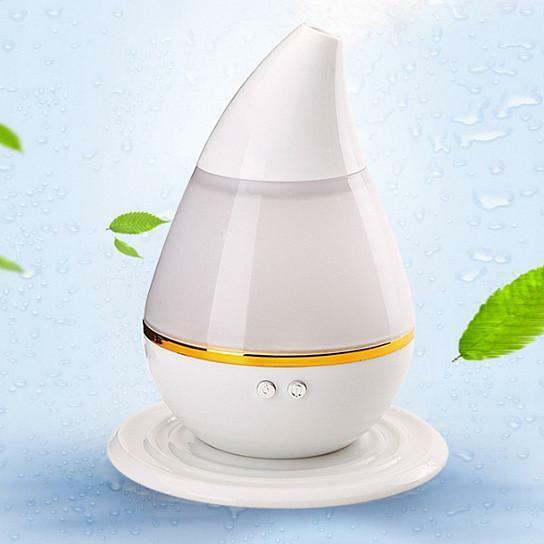 The shape of the Humidifier makes it easy to point the mist to the area you need it the most that is towards you. Easy mood lighting and simple to operate. Turn lights off or on and turn mist off or on. power with a USB cord so it can sit on your desk or just about anywhere even in your car. 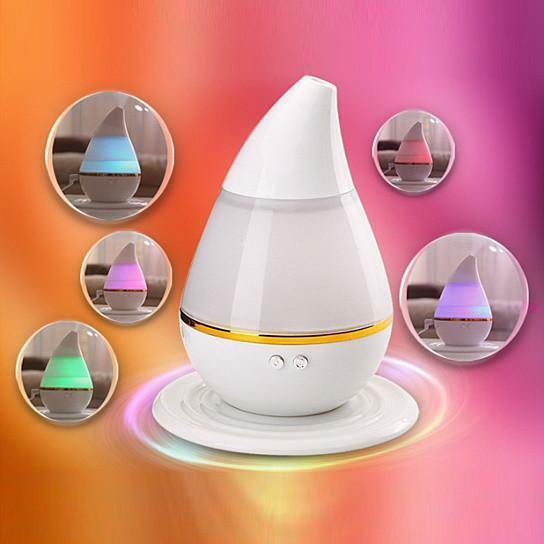 Ultrasonic quiet and operation and with LED lights that dim and brighten to set the mood. Just fill it with water and add few drops of essential oil on the plate and you are set to go. 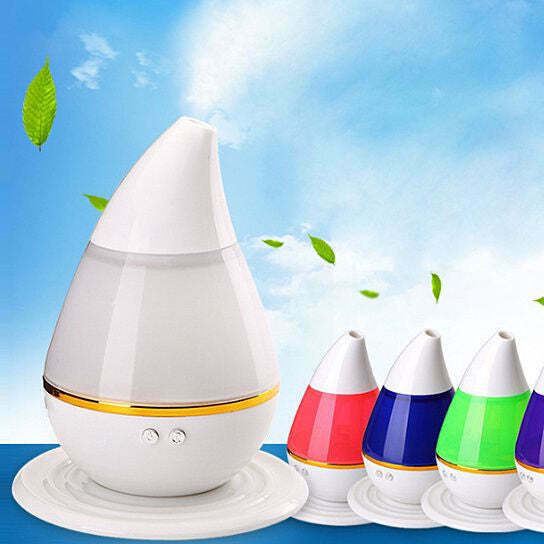 made from Tough ABS and PP plastic safe to operate when water is over it automatically shuts off. Size : approx 10 tall and 6" wide. Come in White color. 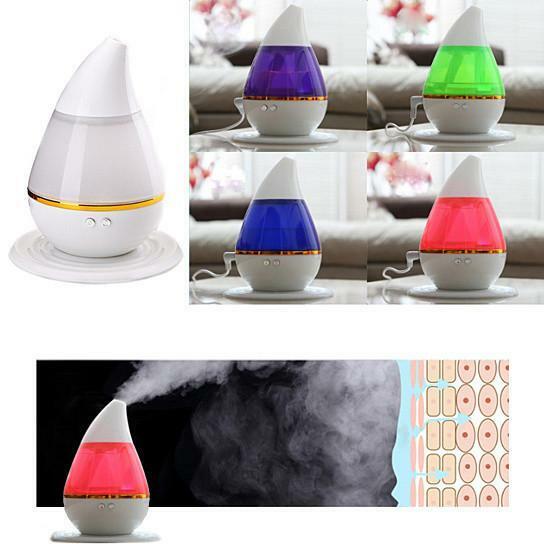 The mood light changes to rainbow of colors that shines through."